India's World Cup-winning captain Anup Kumar announced his retirement from kabaddi on Wednesday to put an end to a glittering 15-year long career. Anup who played for the Jaipur Pink Panthers in the Pro Kabaddi League this season decided to bring an end to his playing days with immediate effect after his team's chances of making the playoffs disappeared with a tie against U Mumba earlier this week. Playing for India, Anup's biggest achievements came at the 2010 and 2014 Asian Games where he won gold medals, but on a personal note, captaining India to the 2016 Kabaddi World Cup crown was equally laudable. Having been conferred with the Arjuna Award in 2012, Anup Kumar continues to enjoy a distinction in Indian sport. Speaking to the media after announcing his retirement, Anup said he plans to stay in touch with kabaddi, albeit in a more withdrawn role. "I don’t have any specific plans for the future but I promise I will be in touch with kabaddi in some way or the other. I won’t be seen on the kabaddi mat, but would be around for sure. 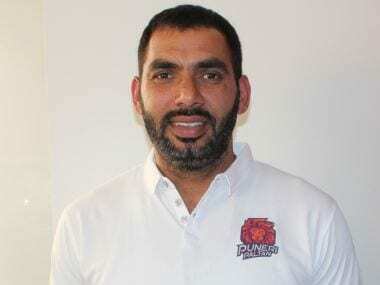 I think I'm open to mentor young kids and you could see me doing that in the future," Anup told reporters at Panchkula's Tau Devilal sports stadium after Jaipur Pink Panthers' game against Gujarat Fortunegaints in the Pro Kabaddi League. Explaining his decision to call it a day, the former U Mumba skipper suggested that the time for him was right to make way and allow youngsters to take center stage. "There’s no special reason (for retiring). But every player has to face this situation. I just thought that I should stop playing the game. Some of our youngsters are playing really and it’s their time now," he revealed. Recollecting some of the best moments in his career, Anup was quick to pint at the three major honours he won with the Indian team before giving the Arjuna Award a mention. "The most memorable moment for me was my international debut. Apart from that, the Asian Games wins in 2010 and 2014 and also the Kabaddi World Cup in 2016 where we won gold medals were also very special for me," Anup said. "When any player begins his career, his target is to play for his country and after that comes the Arjuna Award. I began playing for India in 2006 and was awarded the Arjuna Award in 2012. It’s a very prestigious award for any sportsman. When I came to know about my nomination for the award I was very happy," he added. The advent of Pro Kabaddi ushered in an era of glamour for kabaddi's practitioners and Anup was among the first players to achieve superstar status in kabaddi. Recalling the maiden PKL campaign, Anup placed it on the pedestal when asked about his best memories of the franchise-based league. 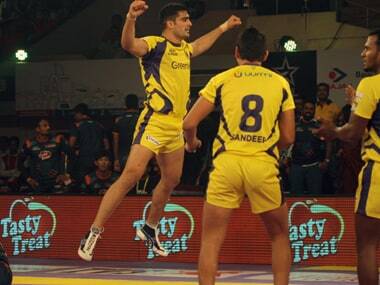 "The first season of Pro Kabaddi where I was awarded the Most Valuable Player was special for me. PKL gave me the fame and stature that I have today. Secondly, the second season where we won the title with U Mumba under my captaincy was also very memorable for me," Anup said before signing off for one last time.